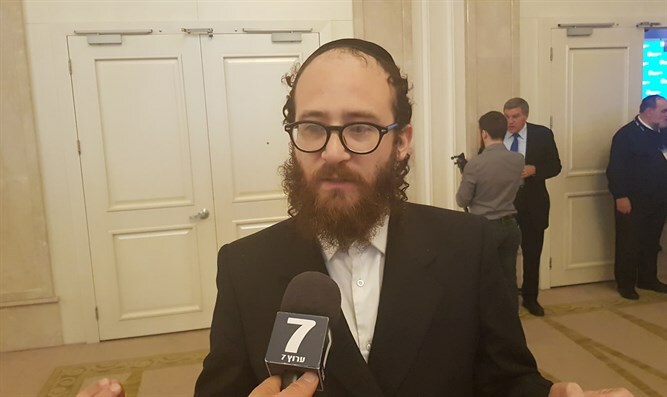 Ami Magazine Senior White House Correspondent Jake Turx tells Arutz Sheva his behind-the-scenes observations of the dynamic relationship between US President Donald Trump and his administration, and Israel and the Jewish People. "People are missing the dynamic between President Trump and the Israelis, and that is, Trump appreciates the loyalty the Jewish people have shown him, and he keeps on reciprocating. He talks about a reciprocal relationship when it comes to trade, but it's also a reciprocal relationship when it comes to foreign policy. He knows that the Jewish People appreciate him, the Jewish People thank him, and because of this he's willing to do things that he knows are going to be beneficial for the Jewish community. "If you look at the other side - if you look at how the Palestinian people have been insulting him in speeches, the way they Arab MKs protested the Vice President when he was here, the disrespect that they've shown the President, the insults they've shown him; these are things that bother a President very, very immensely, and when he sees one side showing appreciation, and the other side is just insulting him and demeaning him, for him it's a very easy decision."